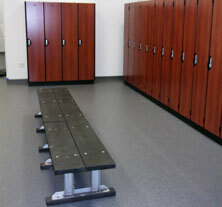 SignaFlex Aqua is our wet area flooring product perfect for locker rooms, pool areas, and anywhere cleanliness, hygiene, waterproofing, and safety are important. 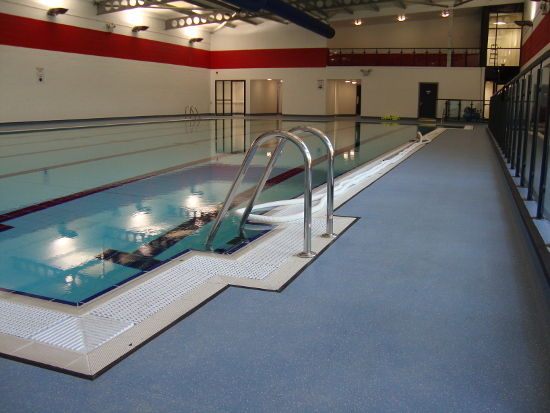 SignaFlex Aqua is a textured rolled vinyl flooring product perfect for barefoot traffic areas such as poolside, steam rooms, whirlpool areas, and shower areas. 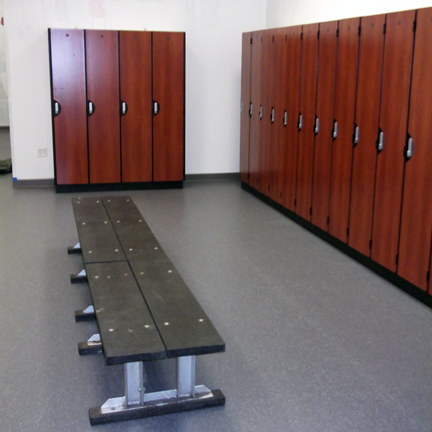 It is a smooth, yet slip-resistant waterproof floor ideal for soft-soled, high traffic areas like the locker room, corridors, common areas, and more. SignaFlex Aqua provides significant traction, built in technology for ease of cleaning, stain resistance, and contains a bacteriostat which inhibits the growth of microorganisms and bacteria. The floor contains at least 10% post consumer lead-free recycled content, which may help facilities achieve LEED certification. SignaFlex Aqua is available in nine colors that are maintained throughout the life of the floor. 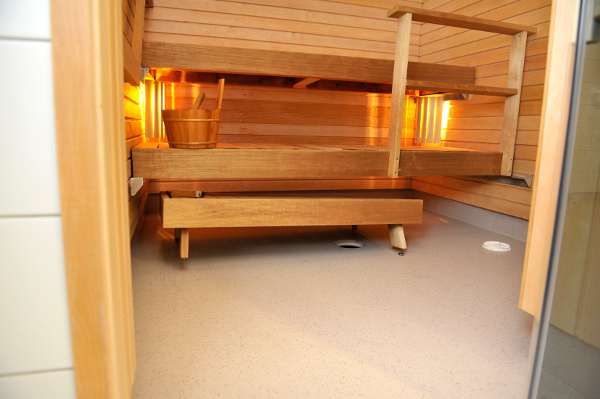 Rolls come in 6’7” x 66’ with a 2mm thickness and are heat welded to create watertight seams. SignaFlex Aqua is heat welded to custom-cut gulley angle edging that creates a clean professional appearance and watertight seal. SignaFlex Aqua is made of a high-quality vinyl and contains Aluminum oxide throughout the thickness and silicon carbide and colored quartz in the surface layer. The backing is made of non-woven polyester/cellulose with glass fiber reinforcement. SignaFlex Aqua has a chemical resistance making it unaffected by surface water and many chemicals. It meets all the requirements for slip resistance, indentation resistance, fire safety, wear resistance, heat resistance and flexibility. Contact one of our SignaFlex Aqua experts today! Our certfied sports flooring expert will visit your facility to perform moisture tests, compare flooring samples, and confirm that SignaFlex Aqua rolled vinyl flooring is the right solution for your athletic flooring needs. Pre-installation preparation is minimal and installation is much faster and easier than most flooring options. A layer of adhesive is applied to a clean, dry floor and then your new SignaFlex Aqua flooring is simply rolled out. Seams between rolls are heat welded in a matching or contrasting color to create a smooth surface that can withstand rigorous athletic activity. 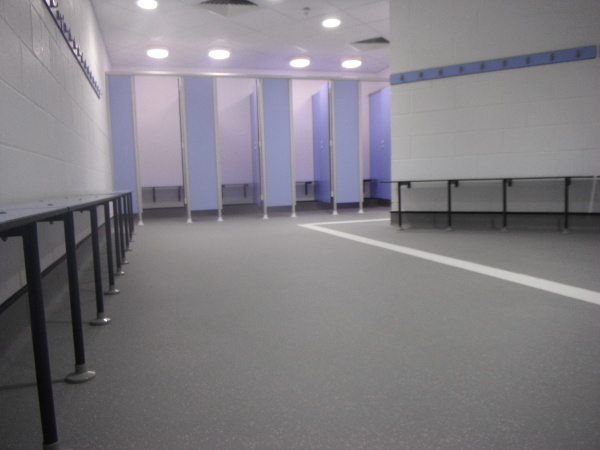 Contact one of our sports flooring experts today about this excellent shock absorbent flooring solution.